A small town amid big scenery, Teshikaga-cho sits in a national park. 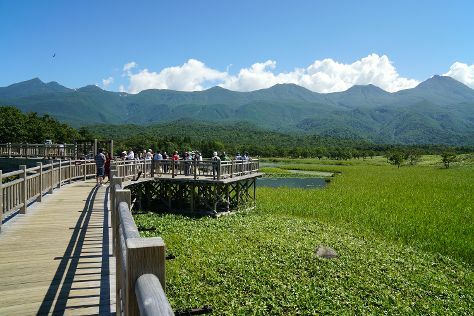 Get outdoors at Kaminoko Pond and Iouzan. Explore hidden gems such as Lake Kussharo and Kayaking & Canoeing. The adventure continues: take in the natural beauty of Lake Kussharo Sand Bath, take in the dramatic scenery at Lake Mashu, and experience rural life at Watanabe Experience Farm. For traveler tips, where to stay, maps, and tourist information, use the Teshikaga-cho sightseeing planner. Zurich, Switzerland to Teshikaga-cho is an approximately 27-hour flight. The time zone changes from Central European Time to Japan Standard Time, which is usually an 8 hour difference. Plan for a bit warmer nights when traveling from Zurich in August since evenings lows in Teshikaga-cho dip to 22°C. Wrap up your sightseeing on the 2nd (Sat) early enough to travel to Shari-cho. Tourism in Shari-cho, a small town situated on Hokkaido's eastern tip, flourishes mainly because of its immediate proximity to the Shiretoko World Heritage Site. Kick off your visit on the 3rd (Sun): admire the sheer force of Oshin Koshin no Taki Falls, then kick back and relax at Shiretoko Beach, and then take in the dramatic scenery at Furepe Waterfall. Here are some ideas for day two: witness a stunning natural landmark at Kamuiwakka Hot Falls, then explore the activities along Shiretoko Goko, and then get engrossed in the history at Shiretoko World Heritage Conservation Center. To see photos, ratings, reviews, and tourist information, refer to the Shari-cho trip itinerary planner. Traveling by car from Teshikaga-cho to Shari-cho takes 2 hours. Expect a daytime high around 24°C in September, and nighttime lows around 18°C. Wrap up your sightseeing on the 5th (Tue) early enough to travel to Kyoto. The national capital for over a thousand years, Kyoto retains much of the charm of old Japan, boasting numerous temples and shrines that seem completely untouched by the modern world. Get a sense of the local culture at Nijo Castle and Sanjusangendo Temple. There's much more to do: contemplate the long history of Fushimi Inari Taisha, get great views at Kiyomizu-dera, get outside with Arashiyama, and take a stroll through Gion. For maps, reviews, more things to do, and tourist information, read Kyoto sightseeing planner. You can do a combination of taxi, flight, and train from Shari-cho to Kyoto in 6 hours. Alternatively, you can do a combination of car and ferry. Traveling from Shari-cho in September, things will get a bit warmer in Kyoto: highs are around 34°C and lows about 24°C. Wrap up your sightseeing on the 9th (Sat) early enough to travel to Miyakojima. You'll explore the less-touristy side of things at Aragusuku Beach and Shimoji-jima Island. Escape the urban bustle at Irabu-jima Island and Kouri Island. There's still lots to do: enjoy the sand and surf at Toguchi no Hama, tour the pleasant surroundings at Sunayama Beach, take in the views from Irabu Bridge, and contemplate the waterfront views at Yabiji. 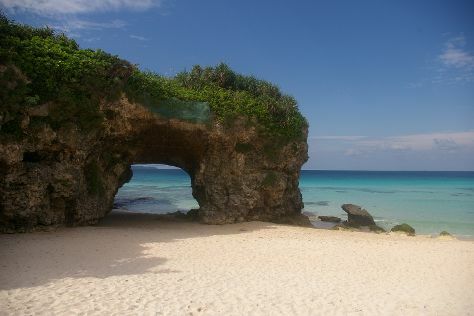 To see more things to do, photos, ratings, and more tourist information, go to the Miyakojima online itinerary creator. You can do a combination of train and flight from Kyoto to Miyakojima in 5 hours. Traveling from Kyoto in September, plan for a bit warmer nights in Miyakojima, with lows around 30°C. Finish your sightseeing early on the 13th (Wed) to allow enough time to travel to Taketomi-jima Taketomi-cho. Start off your visit on the 13th (Wed): kick back and relax at Kaiji Beach, then enjoy the sand and surf at Kondoi Beach, and then take a leisurely stroll along Nishi Pier. To see photos, traveler tips, where to stay, and other tourist information, go to the Taketomi-jima Taketomi-cho vacation planner. You can do a combination of flight and ferry from Miyakojima to Taketomi-jima Taketomi-cho in 1.5 hours. 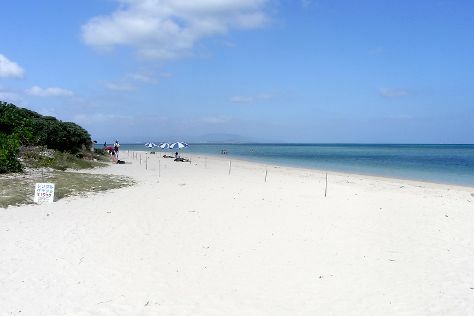 In September in Taketomi-jima Taketomi-cho, expect temperatures between 36°C during the day and 30°C at night. Cap off your sightseeing on the 14th (Thu) early enough to catch the ferry to Taketomicho Iriomote-jima. Taketomicho Iriomote-Jima stands as the second largest island in Okinawa. Step out of the city life by going to Iriomote Island and Hoshisuna Beach. Eschew the tourist crowds and head to Kayaking & Canoeing and Barasu Island. There's still lots to do: admire the sheer force of Pinaisara Falls and enjoy the sand and surf at Ida no Hama Beach. To see more things to do, ratings, where to stay, and other tourist information, refer to the Taketomicho Iriomote-jima travel itinerary creator. Traveling by ferry from Taketomi-jima Taketomi-cho to Taketomicho Iriomote-jima takes 2.5 hours. In September in Taketomicho Iriomote-jima, expect temperatures between 36°C during the day and 30°C at night. Finish your sightseeing early on the 17th (Sun) to allow enough time to ride a ferry to Ishigaki. 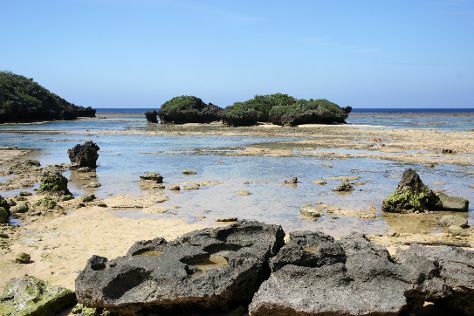 On the 18th (Mon), tour the pleasant surroundings at Fusaki Beach, then steep yourself in history at Ishigaki Yaima Village, and then discover the deep blue sea with a scuba or snorkeling tour. 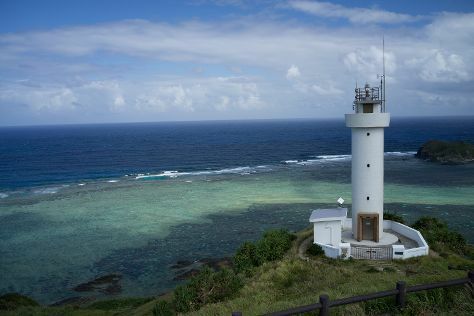 Keep things going the next day: enjoy the sea views from Cape Hirakubozaki, then examine the collection at Tamatorizaki Observatory, and then kick back and relax at Yonehara Beach. To find traveler tips, photos, where to stay, and tourist information, read Ishigaki tour planner. Traveling by ferry from Taketomicho Iriomote-jima to Ishigaki takes an hour. In September, daily temperatures in Ishigaki can reach 36°C, while at night they dip to 30°C. Cap off your sightseeing on the 19th (Tue) early enough to travel back home.